Terminator 2, one of the legendary motion pictures to ever grace the silver screen is going to have its own video slot machine. The title is set to be released on the 4th of June 2014 and this day will be remember by many fans of the genre. 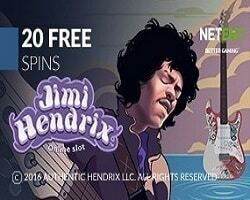 Celebrate the launch of this astonishing game and become one of the first to try it out at the Crazy Vegas Casino. June the 4th on Wednesday you may have the very special opportunity of starting a battle against the uprising machines. The products consists of 5 individual reels that can trigger simultaneously and with the 243 various ways of winning, there is so much to still apprehend. The game will feature popular scenes from the movie, which is going to make it even more attractive to the gamers. The special bonus feature expands this option to the massive 1024 ways to win, just as the bonus solely suggests. Engaging with the game with the HQ display implemented is going to upgrade the overall experience even further. The product will certainly attract both gambling amateurs and the movie enthusiasts, giving them a chance to enjoy similar features and separate means of appreciation. To accommodate those new to online gaming, the casino has prepared fantastic offers to begin the gameplay right away. The three initial deposits will become matched with the number of chips worth up to the total of $/€/£500 (1st deposit = 100% up to $/€/£150, 2nd deposit = 200% up to $/€/£100, 3rd deposit = 50$ up to $/€/£250). The security is responsible for guarding the user related data from falling into any unwanted hands and with the best encryption techniques implemented by the framework, there is nothing to worry about. Players will have many different banking methods to consider, from online transfers to electronic cards. Any questions one may have regarding the experience, will be automatically answered by the helpful customer care, available online 24/7. Visit the Crazy Vegas online casino page under the following address right now and begin your journey throughout the wastes of a world controlled by machines in the Terminator 2 video slot.